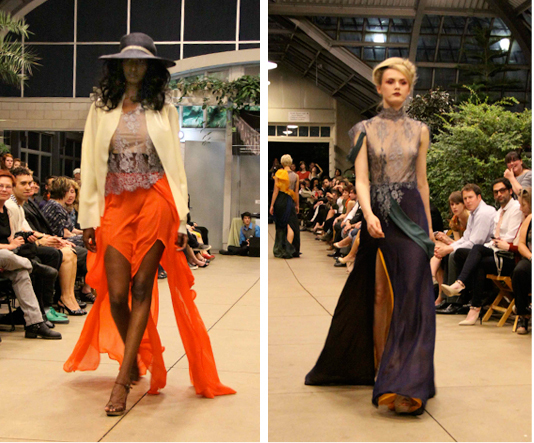 Last night Laundry magazine and a group of extraordinarily talented designers took over Garfield Park Conservatory to stage one of the best shows I've ever been to. If that wasn't good enough, proceeds from ticket sales went to benefit Flashes of Hope, a really cool organization that changes the way children with cancer see themselves through the gift of photography. 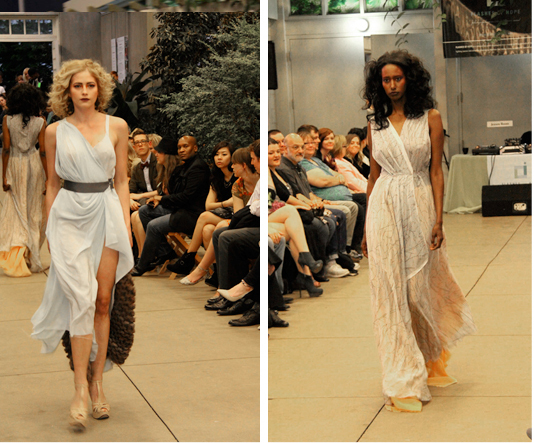 The fabulous models from Agency Galatea rocked the runway in shoes provided by Akira. Stephanie Woods designed this spectacular multi-tiered confection. I envision myself accepting my first Oscar in this dress. 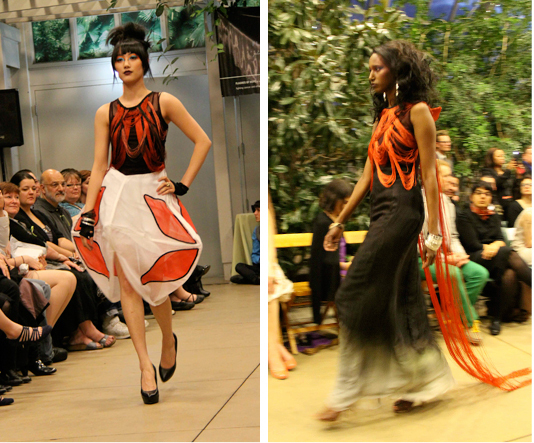 Christina Yi's clothes use strong Asian pattern and detailing to create bold sumptuous clothes. 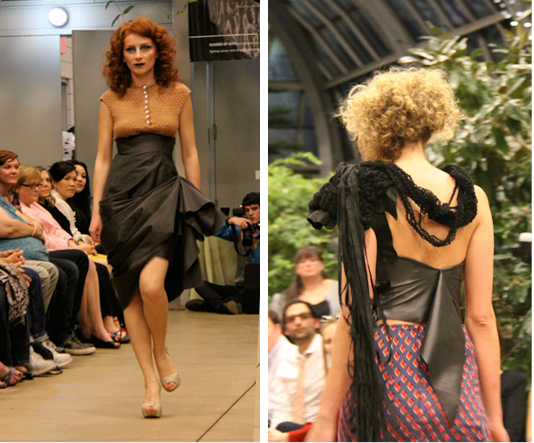 Take a look at the images I took of her last runway show at Lumen. 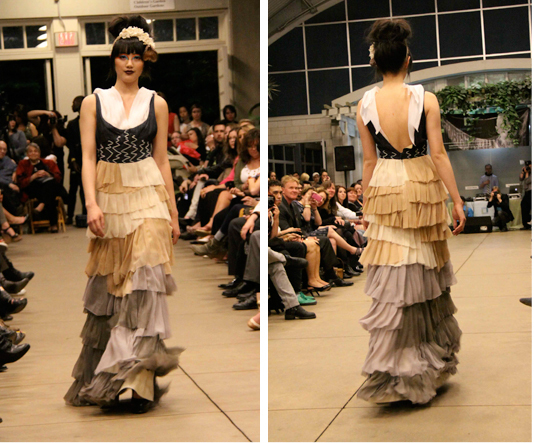 Ignacio Maldonaldo's structural garments looked beautiful strutting down the runway. Ryan Pickle makes women look hot, romantic and COOL all at the same time. His work was among the strongest looks of the eventing. 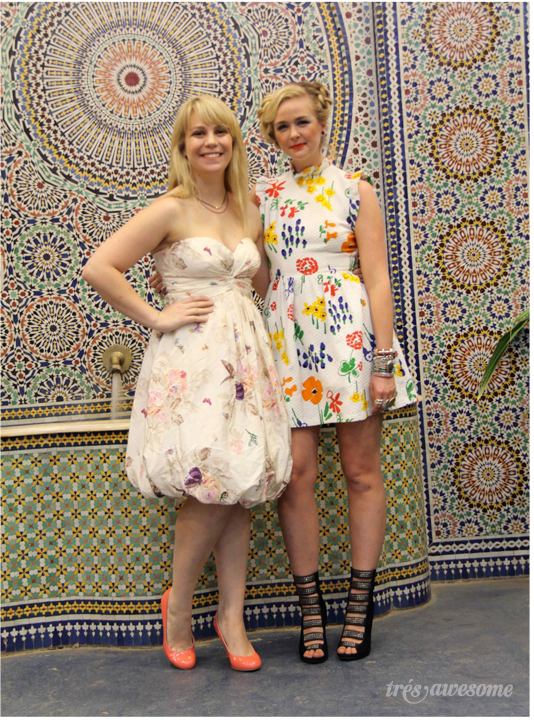 I really want both of these dresses. Kelsey Kreiling not only organized this entire event, she also somehow managed to design and make these GORGEOUS dresses. 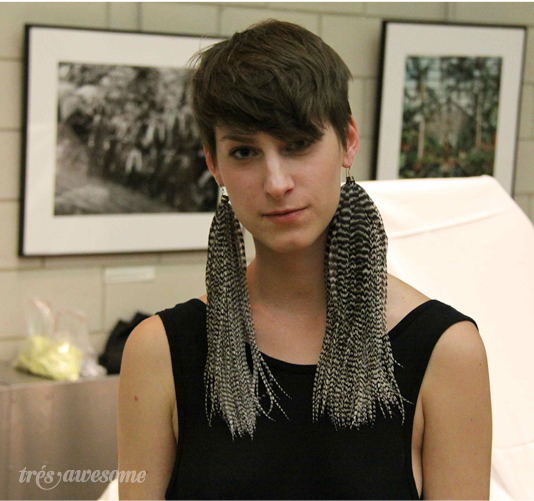 Her work is elegant, has a cohesive vision, and uses interesting and disparate materials in perfect harmony. 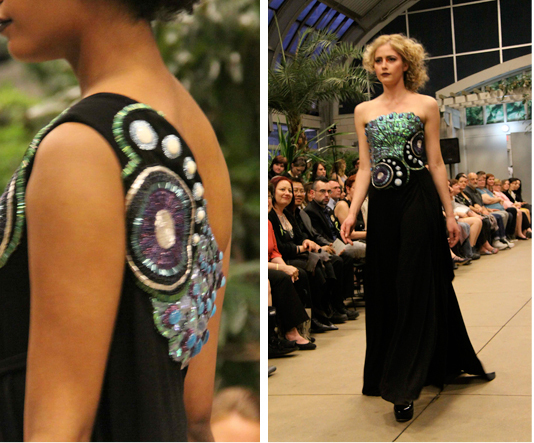 I love Ashley Totka's use of over-the-top beading on these gowns. It just goes to show that there is no such thing as too many sequins. 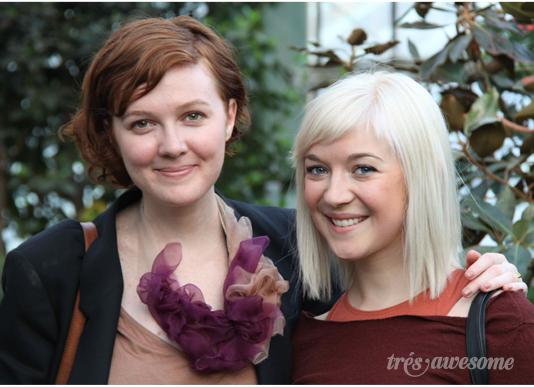 Birgitte Norsen makes fancy look casual and very wearable in this gorgeous dress on the left. Katie DiFiore rocker aesthetic is on display in the detailing and raucous mixture of materials in this dress on the left. 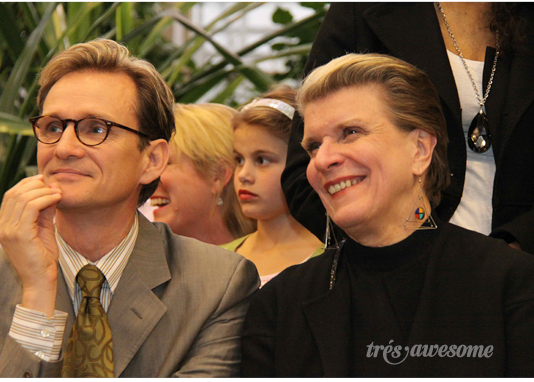 Nena Ivon former director of Fashion for Saks Fifth Avenue, Chicago. Force of Nature Kelsey Kreiling. 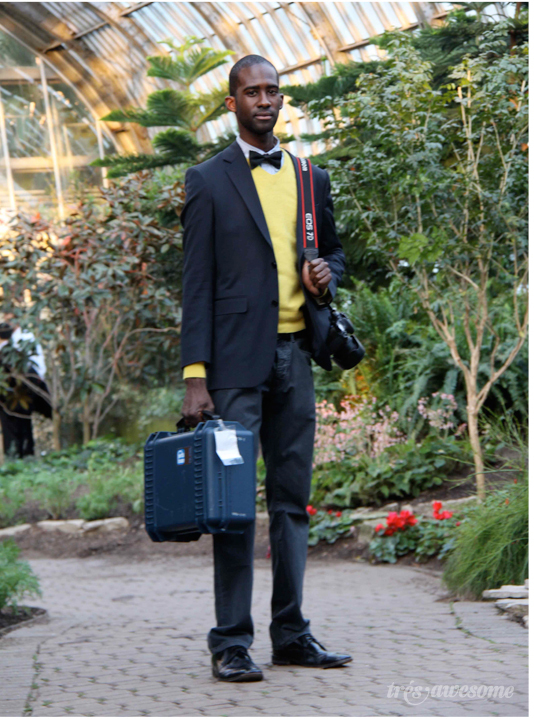 Designer, fashion show organizer and editor-in-chief of Laundry Magazine. lawdy! Those earrings are magnificent.